Build a raft from scratch, climb onboard and then race it. Will you have the one that not only wins but stays afloat. An amazing laugh is in store for all of the hens. 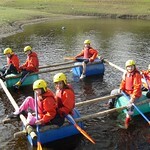 Want a fun-filled, wet adventure perfect for your small hen party? 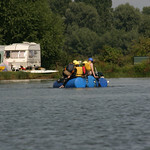 Look no further than our Raft Building parties. 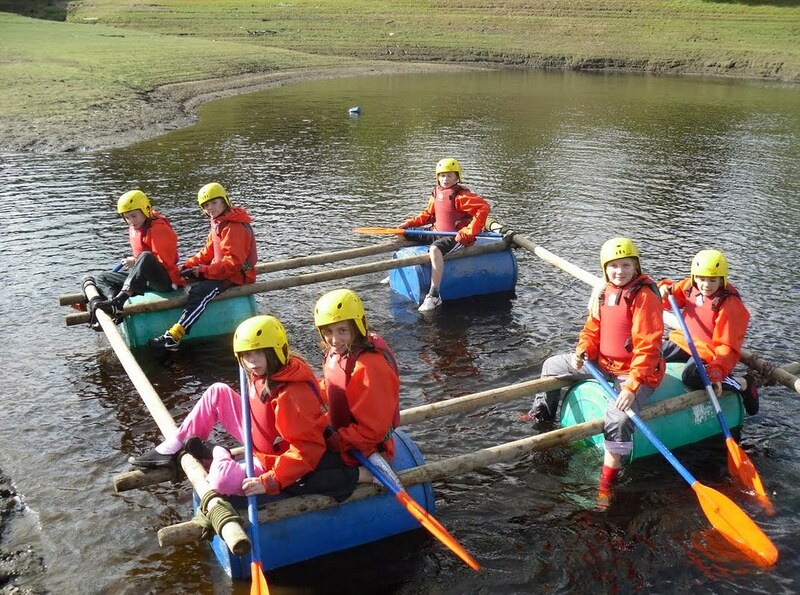 Spend a day out by the lake building your very own floating vessel with friends. Once it is assembled, you can take it out on the water to see if it floats or sinks. This party emphasizes teamwork, so that the bonds of friendship grow even stronger between participants. It is a perfect activity to kickoff a weekend of celebrations before the bride walks down the aisle. Our party offers a friendly competition between multiple teams. Compete against stags or other hens to see if your boat can make it across the water more quickly while staying afloat. Have a hearty laugh as you watch the competition sink and swim. 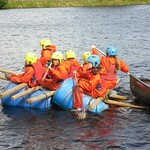 The ultimate goal is to get your raft across the water using only the materials provided. This is a challenging, rewarding competition where good wholesome fun can be had by everyone involved. Contestants of all ages and skill level can take part in this event, which will occur at a location convenient to your party. 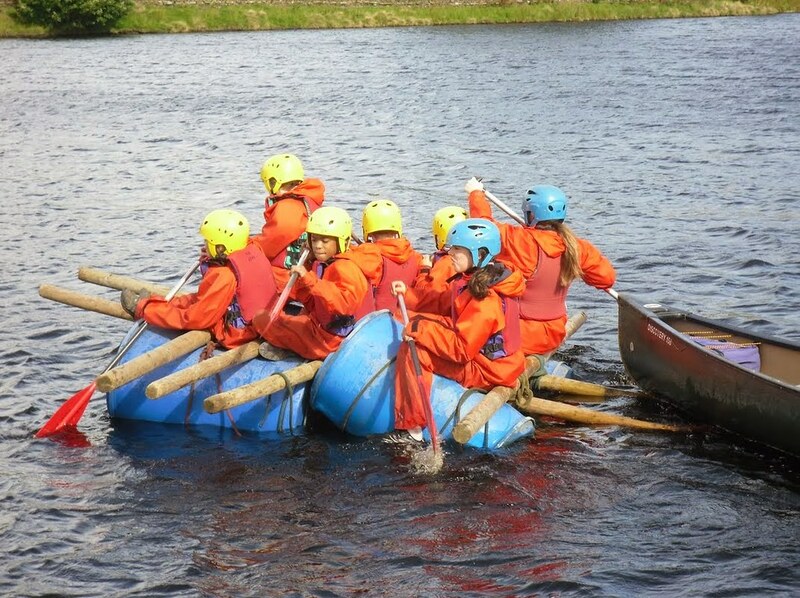 If you're looking to do something unusual or distinctive that the hens will remember years from now, then consider booking an amusing day of raft building on the water. Laugh while challenging yourself and your teammates to create a plan which will decimate the competition. Give the bride-to-be the unique experience she deserves! All the materials to take part in the event will be provided to contestants the day of the competition. 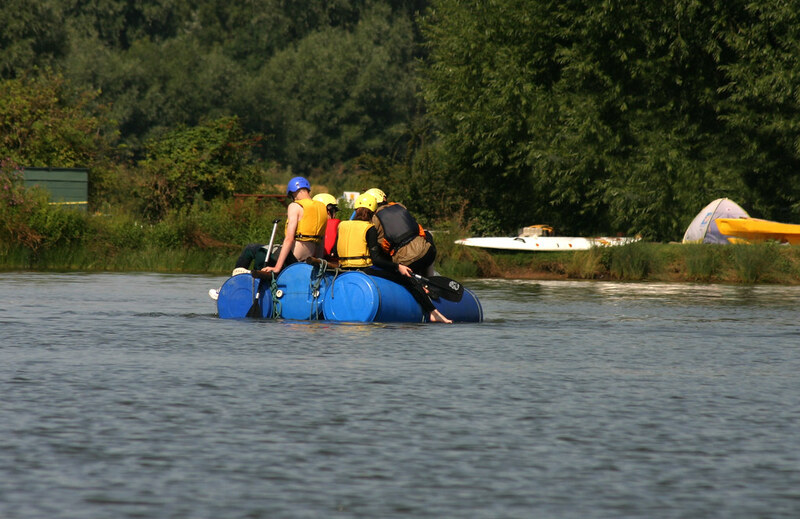 This includes not only the materials for assembling the raft but also personal gear to ensure that party members remain safe during the competition. Players will be briefed on the rules by on-site workers who will oversee the competition and answer any questions you may have about the services provided. Between ten to one-hundred individuals may be booked for a single party. The duration of each event is set at approximately two hours. 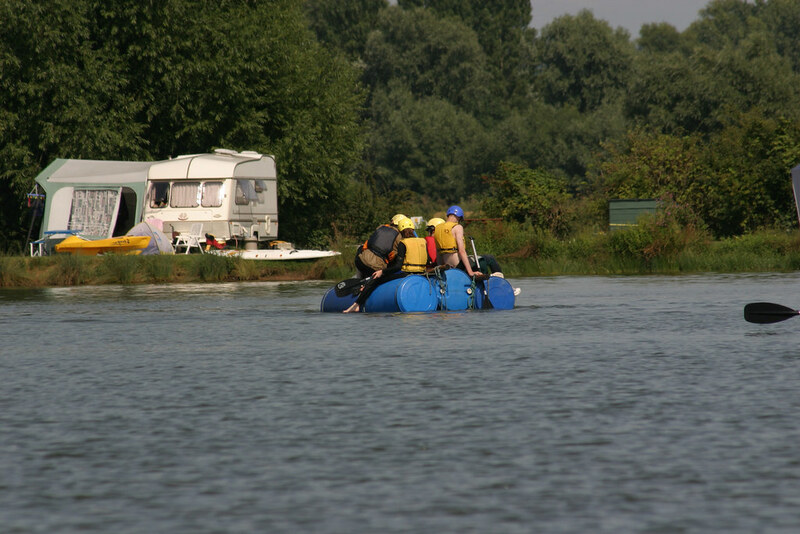 This includes the time it takes to be briefed on safety rules, as well as to dress in the appropriate safety gear, and receive the materials for the assembly of the raft. All participants are urged to bring a change of clothing and an additional pair of shoes on the day of the event, as getting soaked in water is ultimately part of the fun. For more information or details about current rates, please contact our office today. Race against your girlfriends or show the stags just how filthy you can be in our fast and furious mud buggies. A great adrenalin rush on your hen weekend in Brighton. For those who are unfamiliar with the classic BBC show, "It's A Knockout" was a television program that started in the 1980s which featured players trekking across obstacle courses while wearing hilariously large rubber suits. Our go karting parties put a new spin on the old saying "living in the fast lane"! Enjoy a fun-filled race with your girl pals on one of our indoor or outdoor tracks.